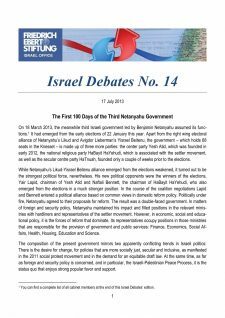 Israel Debates is released as online publication of the Friedrich-Ebert-Stiftung Israel. 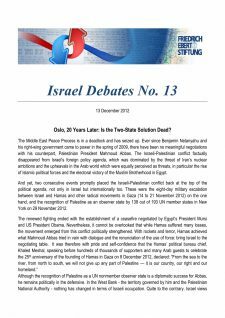 Each edition presents opinions of two authors who express controversial views about major events of Israeli interior or foreign politics. 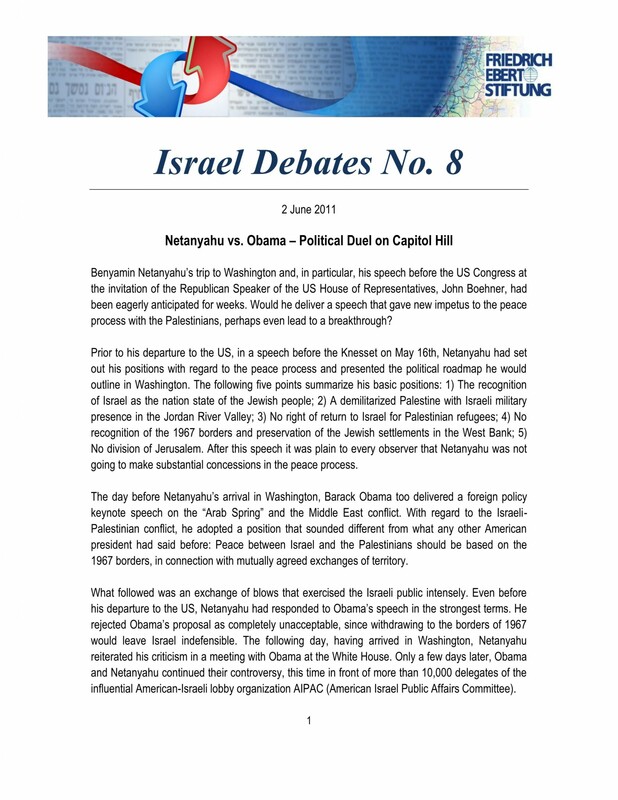 The present publication of Israel Debates presents the Israeli domestic discussion on Netanyahu vs. Obama – the Political Duel on Capitol Hill. 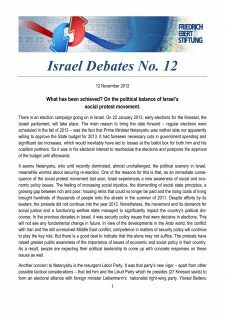 Akiva Eldar, the renowned chief political columnist for the left-liberal national daily Ha’aretz, investigates the inner mechanisms of the Israeli-American partnership and shows to what extent they influence both the peace process and the outcome of elections in Israel. He makes clear that this partnership is as vital to Israel as it is dangerous. 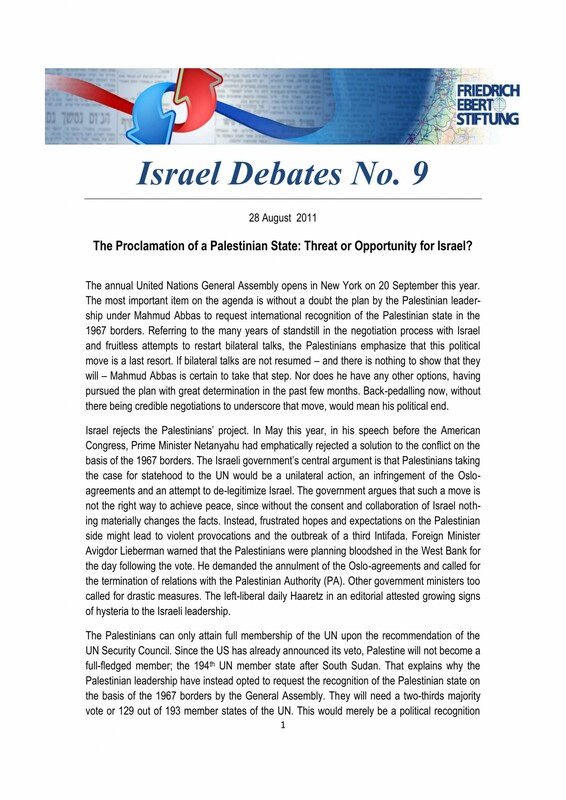 Yoram Ettinger, Ambassador (ret.) and profound expert on the U.S., believes that the distinctive feature of the Israeli-American partnership is not primarily to be found on the political level, but rather in the nations’ common anchorage in the Jewish-Christian traditional values. He says that this is the true strength of that bilateral relationship.